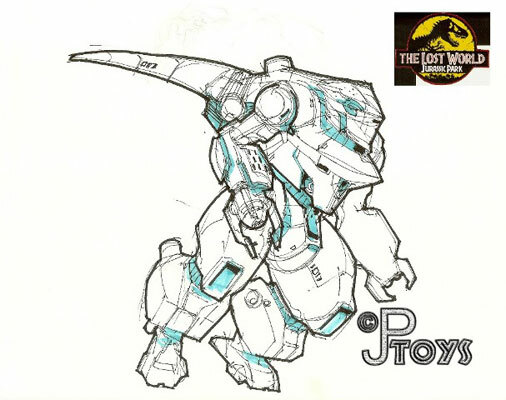 SITE UPDATES, AND NEW TLW CONCEPT ART! Hey there! Today, we present you much needed updates on the website. First, you'll be able to see the two 2013 entries in the ever-growing Papo prehistoric animals collection: the Carnotaurus, and the Dimetrodon! Papo definitely didn't disappoint this year, and leave us, as usual, expecting for their next gems. Another wanted update was the inclusion of the latest "JP: 3D" line on the website. Considering that most of this line is virtually identical to the Jurassic Park 2009 line, we decided to include them in that section. The repacks have been included in their "older brothers" pages, as seen here, for example, and the two new sculpts have been given their own pages in the Dinosaurs section. Enjoy! 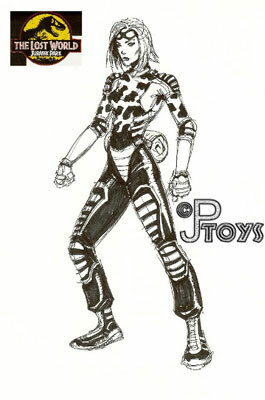 And in other news, we present you, on behalf of our very own Anonymous contributor, never-seen-before concept art for some of Kenner's potential ideas for further expanding the infamous Lost World toy line. You can find a lot more information about this "lost" line, as well as several sketches, on this thread in our forums. 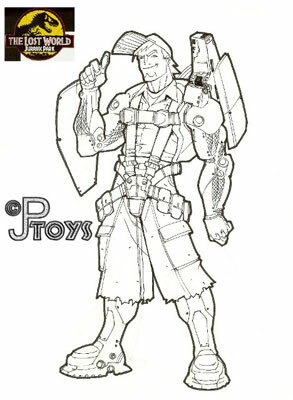 So, yup, more than 15 years later, there's always some new info to be discovered about our favorite toy line!